D. M. Osborne began his business career as a clerk in a New York City hardware store . . . [and] met James Watrous, an Auburn storekeeper who invited Osborne to become a junior partner . . . When James Watrous retired, Osborne assumed control of the store but abandoned it soon afterwards to manufacture straw cutters and corn shellers. After the business failed, Osborne moved to employment in Buffalo. As general superintendent of the Buffalo Agricultural Works, he met William Kirby, a mechanic who possessed untried patents for agricultural machinery. Soon Osborne was back in Auburn with Kirby. Their new company turned out 200 combination mowers and reapers in 1857 . . . . By 1866, having won two blue ribbons in the national trials, D. M. Osborne & Co. was solidly established . . . . Eventually there were offices and warehouses in Philadelphia, Chicago, St. Louis, San Francisco, Hamburg, Paris, Odessa, Sydney and Buenos Aires. 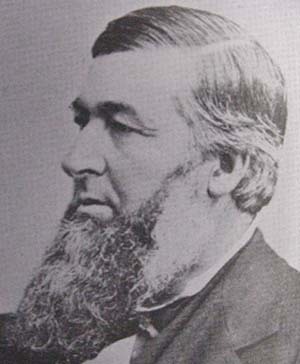 As a Republican, David Munson Osborne took an active part in local politics, being elected alderman from 1871 to 1874 and mayor from 1879 to 1880. After his death in 1886, his wife [Eliza Wright Osborne] continued to interest herself in the arts and education in Auburn. She died in 1911. Helen married James J. Storrow Jr., a financier in the Boston firm of Lee, Higginson & Co.